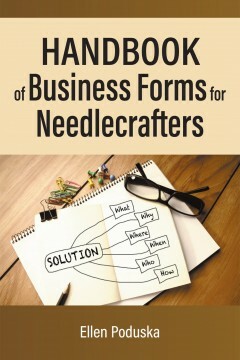 As a compilation of initial forms for structuring a small needle-crafting business, this work revolves around the philosophy that once a concept is conceived in the needle-crafting arena that concept can be further developed on paper to an ongoing concern. This forms books is a stepping stone from thought to paper and by which action a needlecrafter will prevail in a quest to organize those wishes to action. By utilizing the forms one will organize a structure for an individual needlecrafter and detail that primary concept into an overview in many areas of a small business. Once the forms have been established to conform to the primary focus of any needlecrafter a basis has been formed and which focus will further enhance skills reflected in any needlecraft project. The author has a significant number of years invested in working in the legal arena and obtained a Law Degree in 2001. Additionally, the author has been preforming needlecrafts since the early years in grade school having been taught at home. These needlecrafts involved crocheting, knitting, and embroidery. As a result, many items have passed through the author’s hands and onto many recipients who are appreciated of a handmade item.